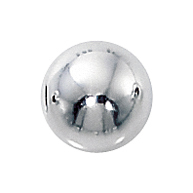 Seamless Sterling Silver. 8mm. Hole measures approximately 2.5mm.